878933913 -Increasingly, scientists find themselves facing exponentially larger data sets and analyses without suitable tools to deal with them. Many biologists end up using spreadsheet programs for most of their data-processing tasks and spend hours clicking around or copying and pasting, and then repeating the process for other data files. While most of the concepts and examples apply to any operating system, the main narrative focuses on Mac OS X. Where there are differences for Windows and Linux users, parallel instructions are provided in the margin and in an appendix. The book is designed to be used as a self-guided resource for researchers, a companion book in a course, or as a primary textbook. 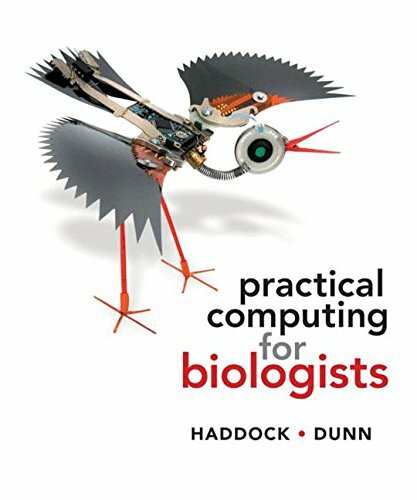 Practical Computing for Biologists will free you from the most frustrating and time-consuming aspects of data processing so you can focus on the pleasures of scientific inquiry. The Companion Website includes downloads, community forums, tips and examples, and textbook errata and updates. The Instructor’s Resource Library features all of the textbook’s figures and tables, provided in ready-to-use PowerPoint presentations.